The list of Java variables (or any programming language's list of variables) is essential to know if you're going to be able to use Java. If you've been following the tutorials then you have learned how to output strings onto the screen. This means that your programs can output whatever words, phrases, and sentences you'd like. While this is great, we'd like to be able to do much more with Java. What if you want to output numbers? What if you'd like to be able to perform simple calculations? Obviously there's no sense in having a program that does not perform any useful work for you, so we need to introduce a new concept: variables. There, now if I say what is the value of X, you would have to tell me 4. X right now equals 4 because that's how I have it set. Now X is equal to Hello world! A pretty simple concept, right? Java variables work no different from regular math variables. These are the basic variable types. There are other types of Java variables, but those are more complicated to deal with. The only more complicated type you've dealt with so far is String, so I'll discuss those as well. Of the list above, we'll go into detail with boolean, char, double, and int. Java has certain words that are used in the language. Since Java uses these words for specific purposes, you cannot name your variables as those keywords. Try naming your variable "if" (without the quotes). Java tell you this is an error. Try naming your variable ")x" (again, without the quotes). Java won't allow this either because Java uses the closing parenthesis as a special symbol. I won't go over all the symbols you cannot use because the list is extensive. If you want to avoid problems just don't use any symbols in your variable names (it's bad coding style anyway). That just creates a variable x that is a boolean variable without setting its value. I will go into more detail about how to use boolean variables in a later Java tutorial, for now we're just going to keep going over the basic types. Keep in mind that all Java variables can be simply created without setting the value. However, any variables you create should eventually hold a value, or Java will give you a warning about creating variables you don't need. A char variable is a variable that holds a single character. A character is a single letter, number, or symbol. For example, 'A' is a character, so is '1' and '&'. Those are all characters. Let's see what a character variable looks like. In this example, I've called the variable c, and it's type is char. In Java, a char must have single quotes around it (this is different from Strings which must have double quotes). This char is being equal to the letter 'g'. Before I continue, let me say that 'g' and 'G' are NOT THE SAME THING. These two characters are not equal because computers do not recognize them as the same symbol. More specifically, they have different ASCII values, but that's beyond what we're trying to learn in this lesson. Just remember that capital letters are not the same as lower case letters and vice versa. In this example the name of the variable is called number (it can be called anything you want, by the way) and the type is double. We're setting this value to 4.67, although the number does not have to be written as a decimal. This is also valid, because 4 is the same as 4.0 in decimal. An int variable holds an integer. Unlike double, an int can ONLY hold integers. You cannot store a decimal inside of an int. You can store negative numbers in both ints and doubles however. The examples below are both valid. The last type I want to introduce is String. String is more complicated because it's not one of the basic Java variables, but creating a String variable is no different than the basic types. A string variable must have quotes around the value in order for it to be a string. Strings can be made up of one letter, one word, whole sentences, or even entire paragraphs. You can also have empty strings. That string is empty because there is nothing inside of the quotation marks, not even a space. Setting variables equal to values is great, but wouldn't it be nice if we could use these variables to perform operations? Let's first look at outputting these variables onto the screen so we can see that we've set our variables right. If you have your Hello world! Program, we're going to be modifying it to perform some math, so pull that up if you have it. If not, you'll have to create a new Java file or project in Eclipse, which you can learn how to do in the previous tutorials. This says that a new variable called num1 holds an integer and it will hold the number 5. This does the same as above, except this variable is called num2 and it is holding the number 8. This tells the computer to add the values stored in num1 and num2 together and store the answer into num3. Num1 is 5, adds it to num2 which is 8, and stores the number 13 into num3. It would literally print out the word num1, and not our value. Run the program and see the results; you should get the numbers 5, 8, and 13 on the screen. will display the number 1. This math works the exact same way with doubles. I encourage you to play around with double values and get them to display on the screen. This will "add" the values in str1 and str2 and put them into str3, so str3 will now have the value “Hello world!”. Try copying the code above and printing them out using System.out.println. Remember that because these are variable names, you do not need to put the variable names in quotes. Note: You cannot do this with booleans and chars, because of the way those types of variables work. You can add chars together, but you'll probably get results you weren't expecting. I will leave that fact for a more advanced tutorial, so don't worry about it! Now the variable num can hold the decimal answer. Some of you have learned in school (either recently or a long time ago!) about order of operations. 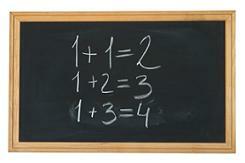 As a refresher, remember that multiplication and division are usually done before addition and subtraction. This does not equal 27. You have to multiply the 5 and 3 first, and then add the 4. This is basic math you should know. In this case the 4 and the 5 are still added together first, then the 3 and the 2 are multiplied, and finally everything is multiplied together to get the answer of 54. This was quite a long article, but a necessary one as you will quickly see. A full tutorial on everything there is to know about Java variables would fill pages and pages, so I tried to keep it as brief as possible to get exactly what you need to use them. Do experiment with these variable types, as you will need to use many of them in most programs you will create. Spend extra time playing with all of the different Java variables, because you'll be using them a lot, and it's best to get used to them right now. Use this Java tutorial as a guide, and remember that you can always come back to this tutorial later if you need to look up how Java variables are done. In the next tutorial we're going to use these different variables to store values provided by a user. Leave Java Variables and return to Java Made Easy!